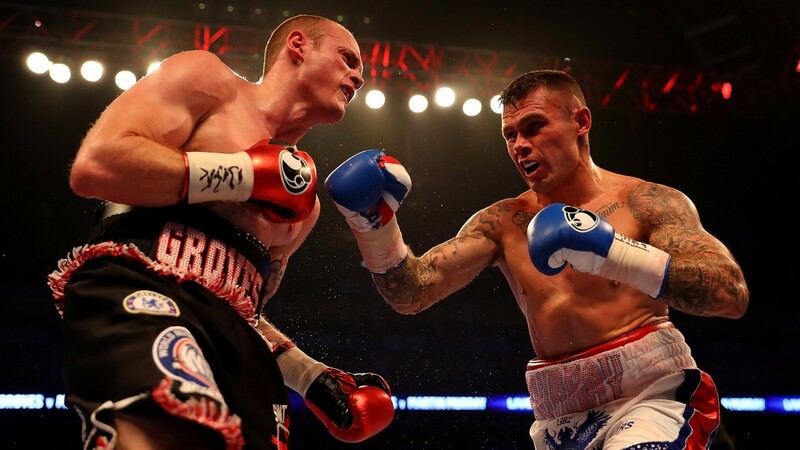 It's a busy night of boxing in the UK and the US on Saturday, and we should expect some absolute wars at Liverpool's Echo Arena, headlined by Martin Murray's clash with American Gabriel Rosado. Both these guys are real old-school warriors with a string of failed attempts at world titles behind them at middle and super-middleweight, and defeat for either man is likely to spell the end of any ambitions of becoming a world champion. And with so much on the line, it's likely to be a brutal battle. A glance at Rosado's record may lead punters to think he has no chance - he has been beaten ten times and has won just two of his last eight fights - but that doesn't really tell the whole story. Rosado is always in fan-friendly tear-ups and will bring plenty to the table. He has wins over some notable opponents, but he usually comes up short when facing top fighters. Murray has been unfortunate several times, pushing champions Sergio Martinez and Felix Sturm extremely close in their own countries, and hanging in for 11 rounds against juggernaut Gennady Golovkin - who also beat Rosado in seven rounds. More recently Murray lost a clear decision to George Groves, so this really is the last-chance saloon if he wants to stay at world level. Both fighters are probably past their peak, but they are as tough as they come and Murray is the pick to win by decision after a blood-and-thunder encounter. Supporting them in Liverpool is another great fight for the vacant British super-middleweight crown between Rocky Fielding and John Ryder. This is close to call. Fielding is favourite and has the better form, with his only defeat coming via a first-round KO loss to Callum Smith. Ryder has three defeats on his record but has fought a better standard of opponent, taking world champion Billy-Joe Saunders the distance in 2013. He has had a few off-nights since, but this is a real chance for him to get back on the bigger stages and the feeling is that he has not yet achieved his full potential. It could go either way, but the betting value could be with the underdog, so take Ryder to win on the scorecards. Later from New York, Sky broadcast Shawn Porter's showdown with Andre Berto. Both men are former welterweight world champions, with Porter looking to bounce back from a defeat to Keith Thurman last summer, while Berto has the distinction of being Floyd Mayweather's last opponent in 2015. Porter is a fairly big favourite, and an upset seems unlikely. Berto has a good KO ratio but at 35 he may not have the speed to catch a prime Porter, who has never been stopped, so back Porter to win on points. If that lot doesn't satisfy your passion for punching, Tommy Langford is a 2-1 underdog against Avtandil Khurtsidze, which is live on BoxNation and BT Sport 1, while BoxNation are also showing three live world title fights from California - Oscar Valdez v Miguel Marriaga for the WBO featherweight title, Jessie Magdaleno v Adeilson Dos Santos for the WBO super-bantamweight title and Gilberto Ramirez v Max Bursak for the WBO super-middleweight title.